Use the table at the bottom of the page to determine which stamp is valid for each helmet & manufacturer and then use the descriptions for each stamp to determine if the helmet batch number is valid for the stamp. If you are unsure feel free to email us and ask. 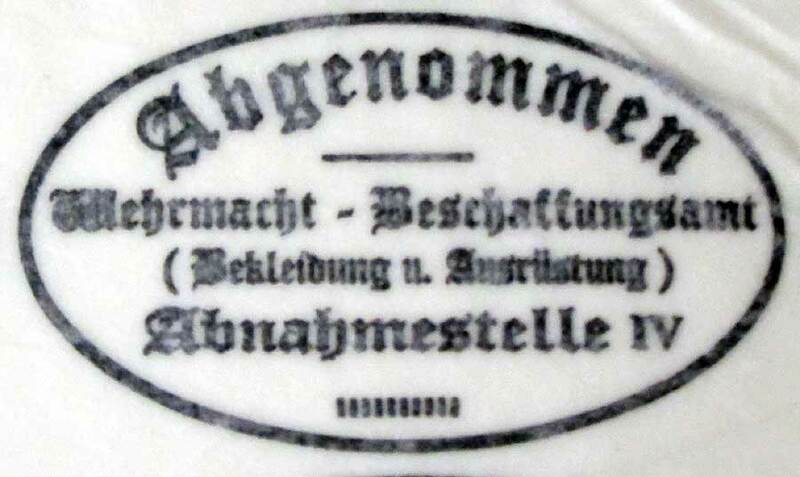 If you don't see a German helmet acceptance stamp suitable for your helmet and want one made up, please email us the details. We may be able to make it for you. Please be aware we only make historically accurate dome stamps. Forget water transfer dome acceptance stamps they were never used in WW2. This is the real deal and can be used over and over again. 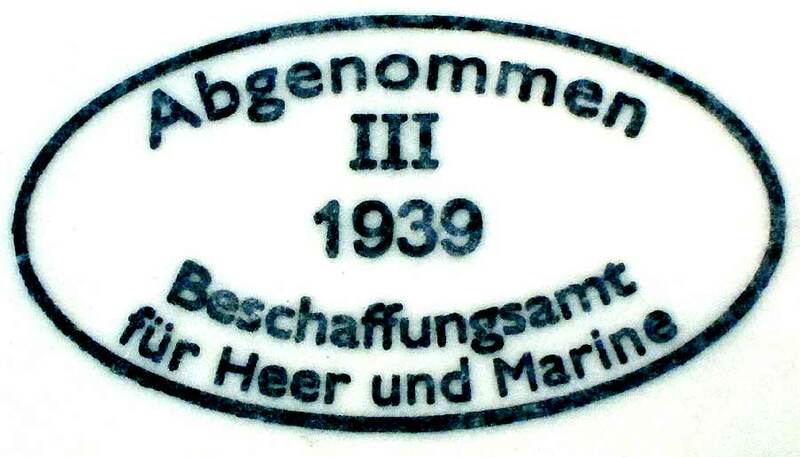 This stamp will allow you to mark in indelible ink the acceptance office for the M35, M38, M40 or M42 helmet. We like to sell as authentic replica helmet items as possible and this stamp is no exception. The research gone into these stamps does not stop here, you will find that the size and characters are identical to genuine stamps, you could say this is a genuie stamp but just made after WWII. Remember stick on or transfer dome stamps were NEVER used during WWII, they were all hand stamped with rubber pads such as this one. If you want a different one made up just email us the details. This stamp can be used "as is", as it has an adhesive back, but we recommend mounting it on thick cardboard, foam, wood or similar material to allow re-use and easier application. Full instructions can be found here. We like to sell as authentic replica helmet items as possible and this stamp is no exception. 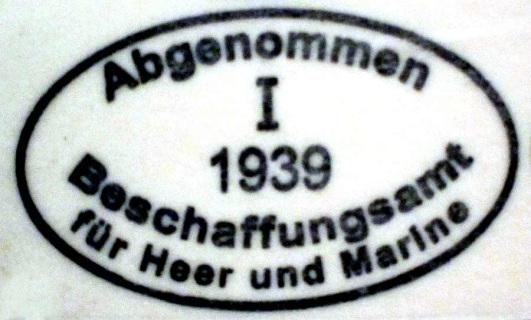 With this in mind this stamp is suitable for ET (Eisenhutten Thale) marked M35 helmets with batch numbers between 2000 and 2800 in 1935 production. 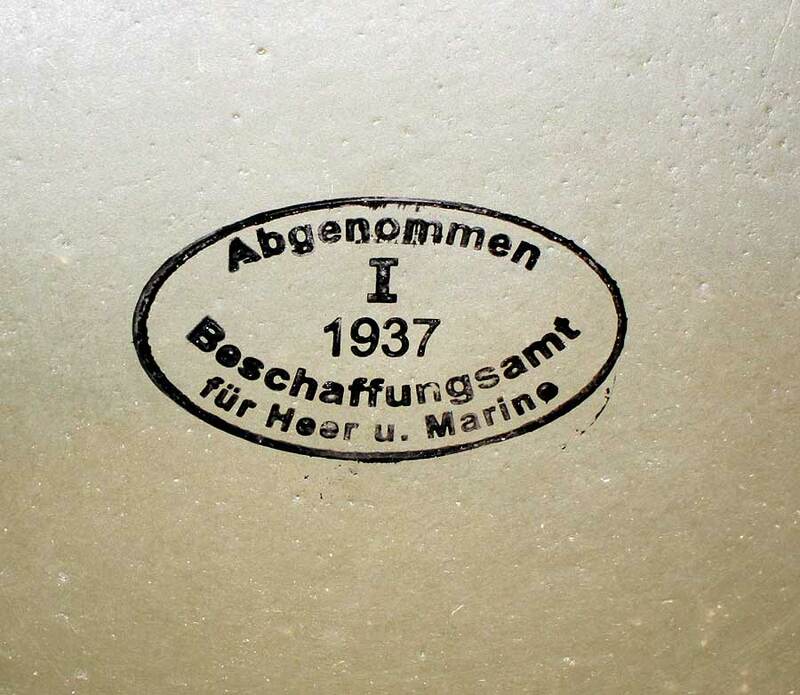 This is the earliest existing M35 ET Helmet marking. This stamp is suitable for NS (Vereinigte Deutsche Nickelweke) all batch numbers early war M35, SE (Sachsische Emaillerwerke) 2600 to 3000 batch numbers, EF (Emaillierwerke-Fulda) low 3000 batch numbers, ET (Eisenhutten-Thale) 2800 to 3000 batch numbers and Q (Quist) marked helmets with batch numbers 1000 or less marked M35 helmets. Transfer dome acceptance stamps were never used in WW2. This is the real deal and can be used over and over again. 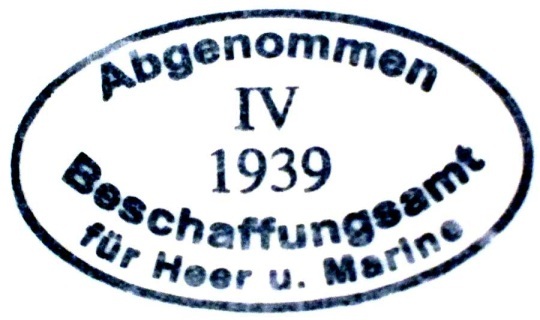 This stamp will allow you to mark in indelible ink the acceptance office for the M35 helmet. We like to sell as authentic replica helmet items as possible and this stamp is no exception. With this in mind this stamp is suitable for SE (Sachsische Emaillerwerke) marked M35 helmets with batch numbers approx. between 3000 and 4000 from 1937 production. 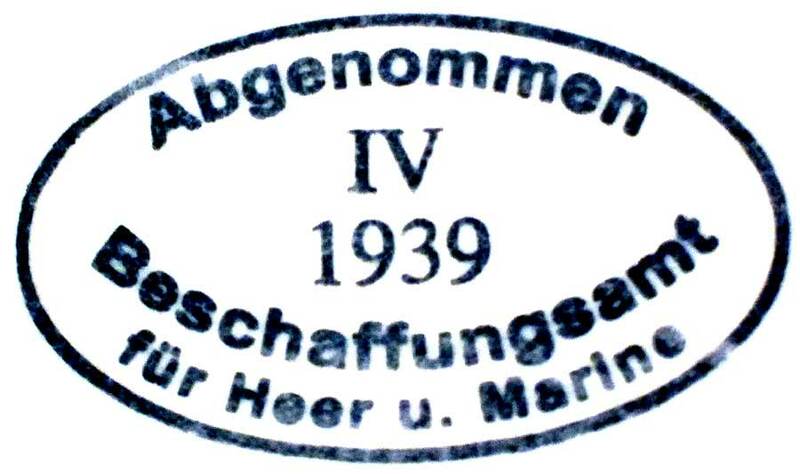 This stamp will allow you to mark in indelible ink the acceptance office for the M35 helmet. 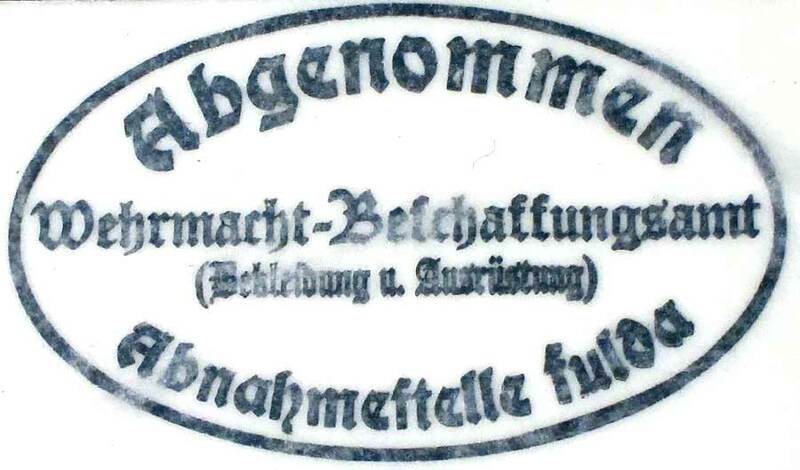 This stamp is suitable for SE (Sachsische Emaillerwerke) marked M35 helmets with batch numbers approx. between 4000 and 5000 from 1939 production. 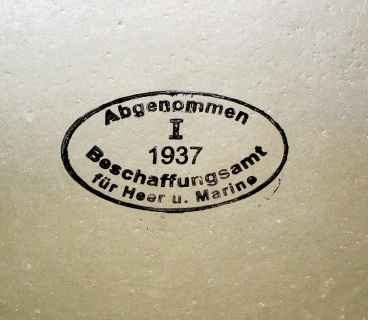 It was also used on ET (Eisenhutten-Thale), M35 helmets with batch numbers between 4200 and 4400. Acceptance office for the M35 helmet. 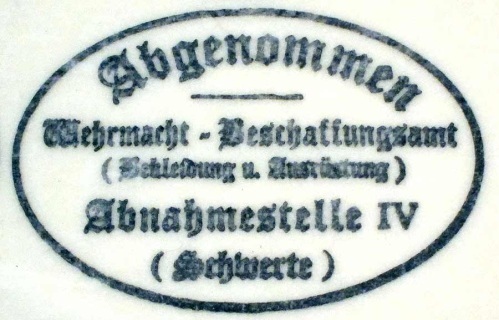 This stamp is suitable for SE (Sachsische Emaillerwerke) marked M35 helmets with batch numbers approx. between 4000 and 5000 from 1939. It was also used on ET (Eisenhutten-Thale), M35 helmets with batch numbers between 4200 and 4400 and Q (Quist), helmets with batch numbers in the 4000+ range and 20,000 range. This dome stamp is suitable for NS (Vereinigte Deutsche Nickelweke) all batch numbers late M35's, SE (Sachsische Emaillerwerke) 4000 to 5000 batch numbers, EF (Emaillierwerke-Fulda) 20000 range batch numbers, ET (Eisenhutten-Thale) 4200 to 4400 batch numbers and Q (Quist) marked helmets with batch numbers 20000 & possibly 4000+ marked M35 helmets. Dome stamp for NS all batch numbers late 1939 M35's & all M40's. SE late 1939 M35's & all M40's, EF late 1939 M35's & all M40's, ET 1939 M35's batch numbers 4400 to 4700 and 1941 M40's 4700 to 5200 and 1941 M40's batch numbers 100 to 1200 (numbers restarted late 1940), so other M40's could have been marked with this stamp. Q batch numbers 20000 & possibly 4000+ marked M35's, 1940 M40 helmets with numbers prefix DN, R, S & T.
Dome stamp seen mainly on ET (Eisenhutten-Thale) Helmets from 1940 onwards but also identified on NS, SE, EF and Q manufactured helmets. Dome stamp for all M40 and M42 helmets from EF (Emaillierwerke-Fulda) manufacturer. 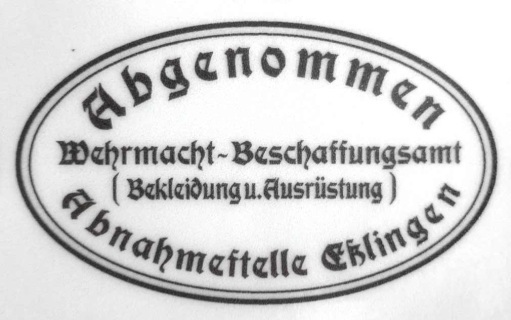 Notice the 'Fulda' text indicating this would only have been used on EF helmets. 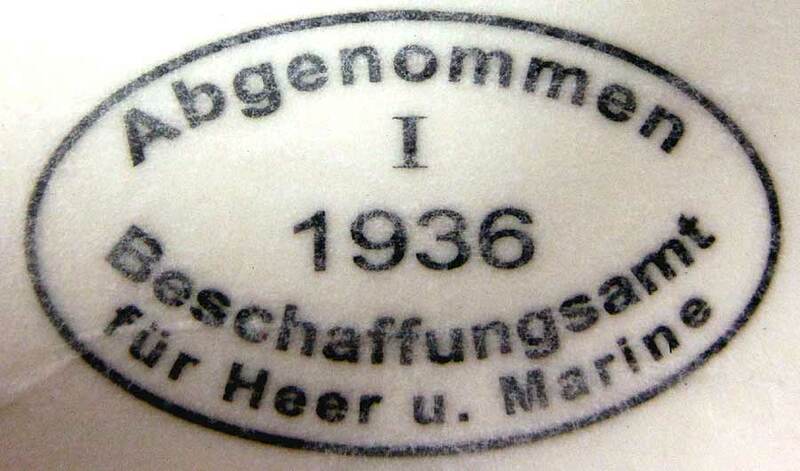 Dome stamp for NS helmets 1940 M40 version with prefixes 'E', 'D' and 'DN' and 1942 M42 helmets with 'D' prefix three digit batch numbers or four digit batch numbers without prefix. 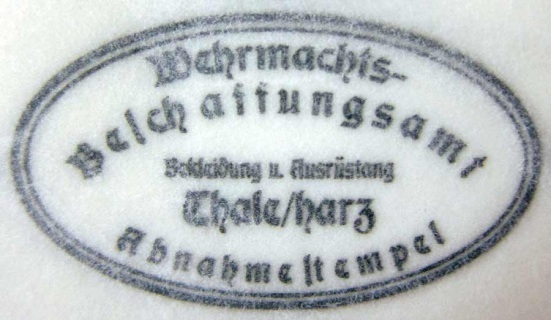 Dome stamp for M42's marked ET or CKL with batch numbers 1200 to 4000 +. 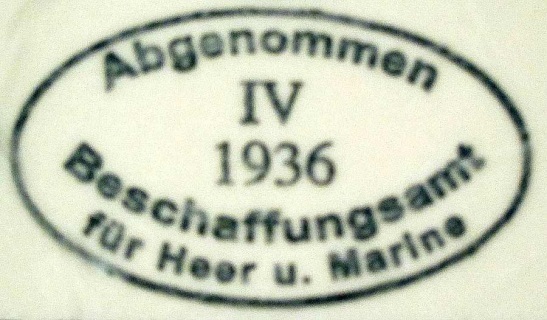 This stamp may also have been used on Q, SE, NS and EF helmet shells model M42's. 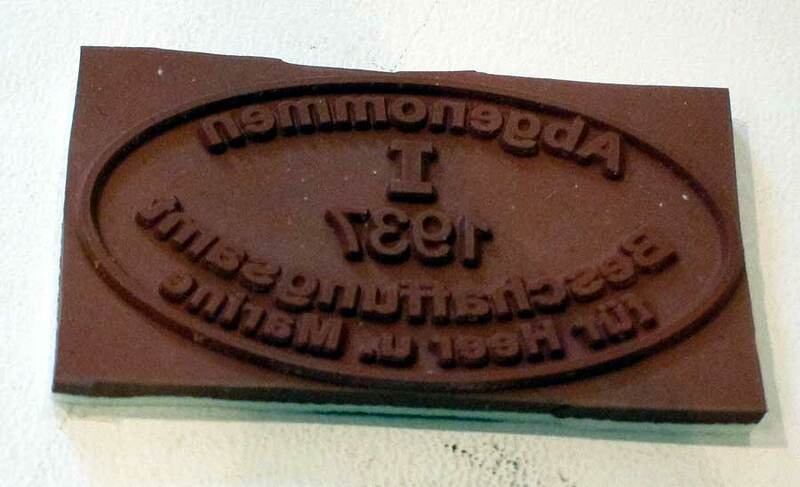 This stamp will allow you to mark in indelible ink the acceptance office for the M40 helmet. 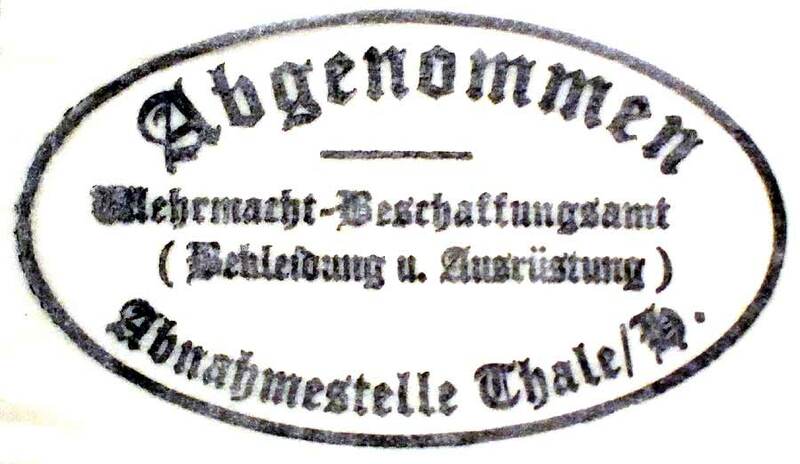 This stamp is suitable for ET (Eisenhutten-Thale) marked M40 helmets with batch numbers approx. between 1000 and 2000 from 1940 production. 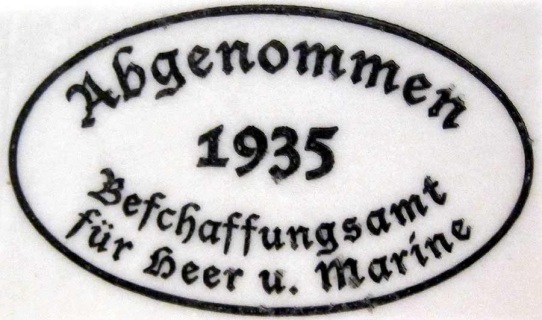 This stamp is very rare and so exact batch numbers or years used is a bit vague and it is slightly smaller than other stamps, perfect if you want your WWII German helmet to stand out from the ordinary. This stamp will allow you to mark in indelible ink the acceptance office for the Quist M35 & M40 helmet. This stamp is very rare and so exact batch numbers or years used is a bit vague Perfect if you want your WWII German helmet to stand out from the ordinary.